Royalty-free stock illustration of a little girl with blue eyes, blonde hair and a ponytail, sitting in a simple cross-legged yoga position and meditating. 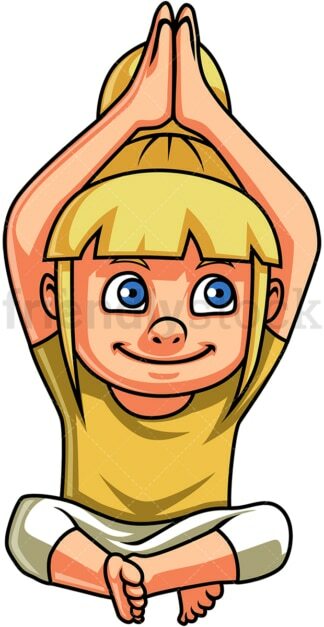 Royalty-free stock illustration of a little boy with brown hair and blue eyes, doing the utthita trikonasana, also known as the triangle pose in yoga. Royalty-free stock illustration of a nerdy little boy with brown hair, wearing glasses, doing a sukhasana yoga cross-legged sitting and meditation position. Royalty-free stock illustration of a blond little boy meditating while sitting in a cross-legged position. 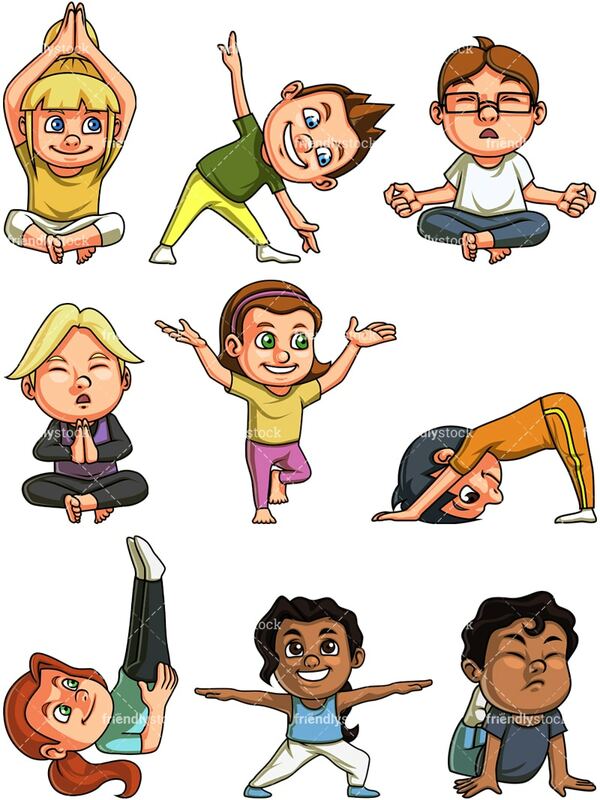 Royalty-free stock illustration of a cute little girl with brown hair and green eyes, doing the vriksasana also known as the tree pose in yoga. 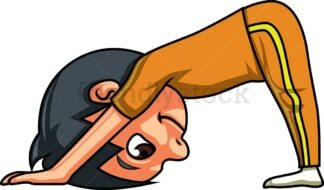 Royalty-free stock illustration of a little boy with dark hair, doing the adho mukha shvanasana yoga pose, also known as the downward dog. 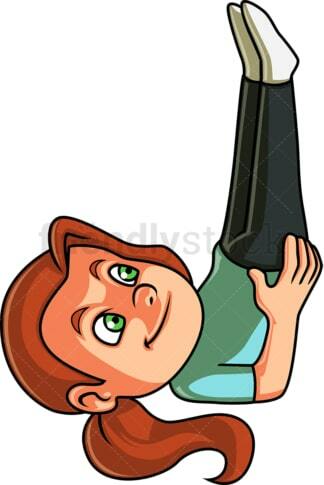 Royalty-free stock illustration of a little girl with red hair doing the sarvangasana, also known as the shoulderstand yoga position, nicknamed as the queen or mother of all asanas. Royalty-free stock illustration of an African-American little girl with dark curly hair, brown eyes and a low ponytail, doing the virabhadrasana 2 asana. 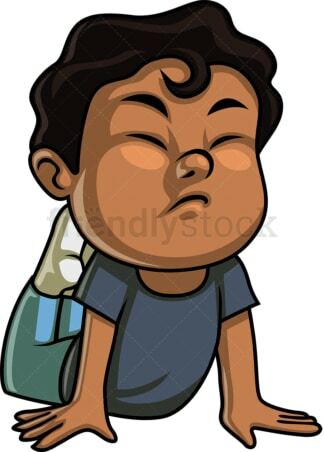 Royalty-free stock illustration of an African-American little boy with dark curly hair, trying to do the dhanurasana yoga pose.